The Hill Country County Coalition built a united legislative ask for expanded County Authority specifically for the Hill Country region. HB 3265 was voted favorably in the House County Affairs Committee but died in Calendars. Helpful one sheet here. Representative Donna Howard’s HB 4756 would have taken important steps to bring local participation and oversight to the Lower Colorado River Authority. 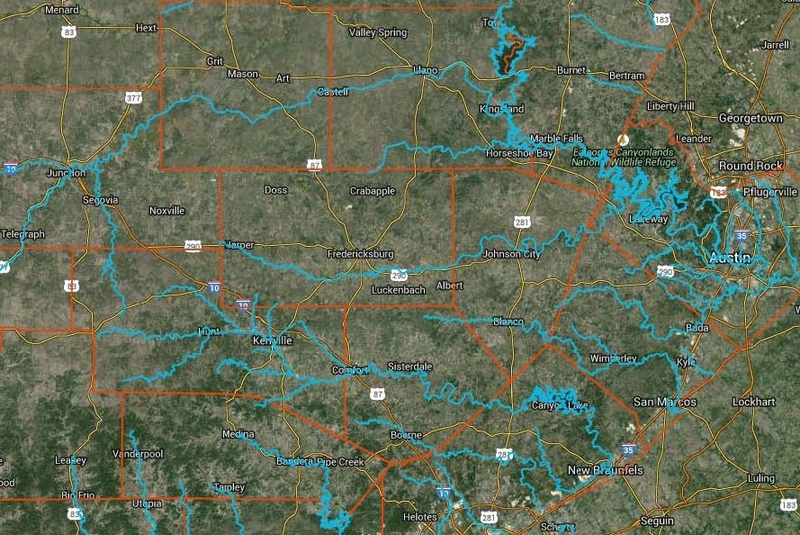 This initiative gave Counties in the LCRA basin a seat at the table. Legislation was referred to Natural Resources and died. HCA board member Milan Michalec recaps groundwater legislation. Read article here. 2009 Legislative Summary HCA followed numerous bills that impacted Hill Country issues such as farm and ranchland protection, groundwater supply, transportation, county development rules, billboards, river authorities and more. Read our 2009 Legislative Summary here. Inside the Legislature, Find your lawmaker – A helpful guide around the Capitol from the Texas Tribune. Alliance for a Clean Texas – Dedicated to improving public health, quality of life and the environment in Texas by working for change at the regulatory and legislative levels. 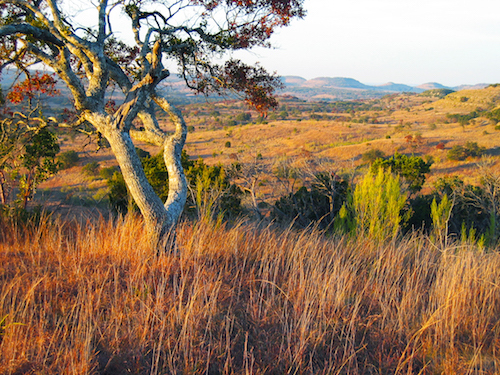 Texas Coalition for Conservation– Learn about the economic impact of parks, open space and natural resources in Texas and find information on other conservations issues for our state. Texas League of Conservation Voters – Working to preserve and enhance the quality of life of Texans by making environmental conservation a top priority with Texas elected officials, political candidates and voters. Texas Legislature Home page – Look up the full text and status of bills, find scheduled hearings and see how your legislators voted. 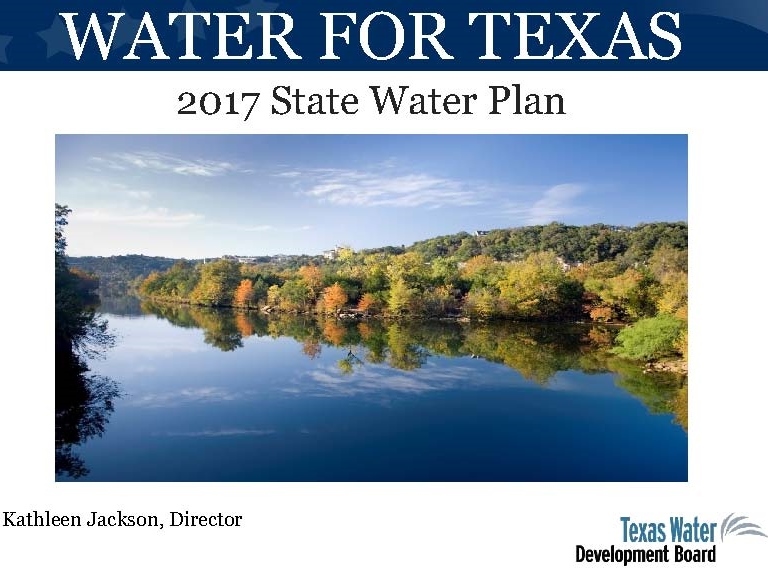 Briefing Memo on Water Quantity Issues in the 81st Texas Legislature – A recent history of water legislation and a memo on the water quantity issues to be discussed in this legislative session, written by Ken Kramer, Lone Star Chapter of the Sierra Club. Fifteen representatives and nineteen senators voted to protect the environment 100% of the time in the 81st Legislature, according to Environment Texas’ biennial legislative scorecard. 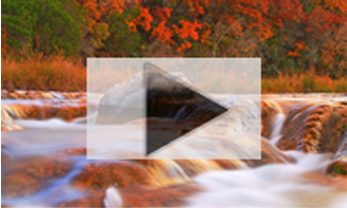 The scorecard tracks votes on a range of votes affecting the state’s air, water, natural areas, and quality of life. Read full media release here. Bexar County Judge Nelson Wolff would tell you that protecting Camp Bullis and its mission of training combat medics for war should have been a slam-dunk, but it wasn’t. Hence, local leaders are taking no chances over one bill that squeaked out of the 81st session. Wolff, Mayor Julián Castro, Sen. Jeff Wentworth and Fort Sam Houston’s top commander will meet with the media today to show support for House Bill 2919 that would create a panel charged with making recommendations to area governments on development projects near Bullis. See full MySA.com article here. What began as “the sunny” 81st legislative session ended overcast this week as political wrangling and well-funded special interests clouded opportunities to bring thousands of jobs to Texas and position us as a leader in the new energy economy. It appears that the adage “the more things change, the more they stay the same” rings true once again. While other states develop economically beneficial policies to bring jobs and cleaner energy, Texas is stuck trying to hold on to our fossil-fueled past. See full Statesman.com commentary here. It was messy, and full of drama, but the grassroots, with the help of infighting among lawmakers over the “local option” gas tax hike, managed to slay a beast of a bill that would have unleashed horrific provisions upon Texans for GENERATIONS to come. Read full TURF article here. but Loses Steam in Political Wranglings Senate and House members from both political parties showed unprecedented support for developing more renewable energy and energy efficiency in Texas by filing a large number of clean power, green jobs bills in the 81st Texas State Legislature. A number of major bills passed either the House or the Senate. Ultimately, political disagreements over other issues and over the size and extent of the programs delayed and killed most of these excellent legislative initiatives. Read full media release here. A proposal to authorize county commissioners to exercise more control over land use appears dead — once again the victim of a lethal combination of ambivalence, inertia and bad timing. During the 2007 session, a similar proposal was a victim of a legislative homicide by anonymous perpetrators. This year’s version is dead. It didn’t commit suicide, but there isn’t quite enough evidence yet to rule it a homicide. It’s yet another good idea buried in the tumult of a session’s finale. See full editorial and leave your comments here. Hill Country county judges had spent the better part of a year marshaling their forces to craft a proposal that would give them more authority to regulate the development that has put stress on the roads, water and land in their fast-growing areas. With state Rep. Patrick Rose, D-Dripping Springs, shepherding it along, it won passage out of one committee. But before it could get a hearing on the House floor, it got shut out by a more powerful committee that acts as a doorkeeper. See full Statesman.com article here. As a land use attorney, I have been involved in many development projects throughout Texas, ranging from small urban infill to thousands of acres. Today, I urge the Legislature to give the authority to regulate growth to those counties that make up the Texas Hill Country. Read the full commentaryhere. The 224-page draft of the Camp Bullis Joint Land Use Study sounds clear warnings. And it echoes a similar 1995 study that was shelved and forgotten. The Army wants lighting strictly controlled so it can train pilots and soldiers in low light technologies. But it also details the growing role of aviation in Bullis’ missions, which involve not only small helicopters but also some of the largest fixed-wing military aircraft. So, it wants no stadiums, schools and other gathering facilities nearby, and it wants residential development limited to very, very low densities. This time, we had better pay attention because the stakes are much greater now than in 1995. To save Fort Sam Houston’s strategic missions — and benefit from their expansions — we are going to have to seriously curb development nearby. 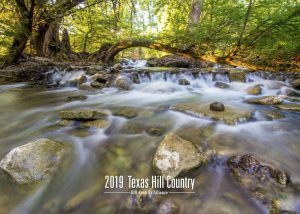 If we don’t, we could lose a multibillion-dollar payroll, and 22,000 acres of Hill Country could end up being denuded, endangering both the Edwards and Trinity aquifers. But most importantly, the men and women of all military branches could lose the benefits of having the best combat medical care in the world for years to come. Read the full SA Express-News article here. SA Express News Commenary by Camille White: We members of the San Geronimo Valley Alliance are puzzled about why the City of San Antonio and the San Antonio Water System are not yet supporting House Bill 595 and Senate Bill 822. Bexar County recently and unobtrusively passed a resolution of support. HB 595, authored by Rep. David Leibowitz, and its Senate companion, SB 822, introduced by Sen. Leticia Van de Putte, would prohibit discharge of treated sewage effluent into the contributing and recharge zones of the San Antonio and Barton Springs segments of the Edwards Aquifer. Both lawmakers represent San Antonio in the Texas Legislature. Why should the two San? Antonio-based governmental entities support these bills? Because developers want to build in these areas and, as a result, the drinking water of the 1.7 million folks who count on the Edwards will be compromised. Read full commentary here. Groundwater Conservation Districts (GCD) are local units of government authorized by the state legislature and ratified at the local level to manage and protect groundwater. Ninety-seven GCDs have been created in the state. The total includes 93 established (confirmed) districts and four unconfirmed districts. The 93 established districts cover all or part of 145 of the state’s 254 counties. This leaves about half of Texas subject to the rule of capture. Read full article here. “Texas Comptroller Susan Combs’ unexpectedly low revenue estimate last week for the next two years was bad news for everyone who spends state dollars,” writes Ben Wear. “But for transportation advocates, having $9.1 billion less for the state’s general fund carried extra sting: Gov. Rick Perry, Lt. Gov. David Dewhurst and then-House Speaker Tom Craddick (remember him?) had all but promised in a letter last summer to grab general fund dollars with both hands and use them on roads. Now, who knows?” Read the full Statesman story here. 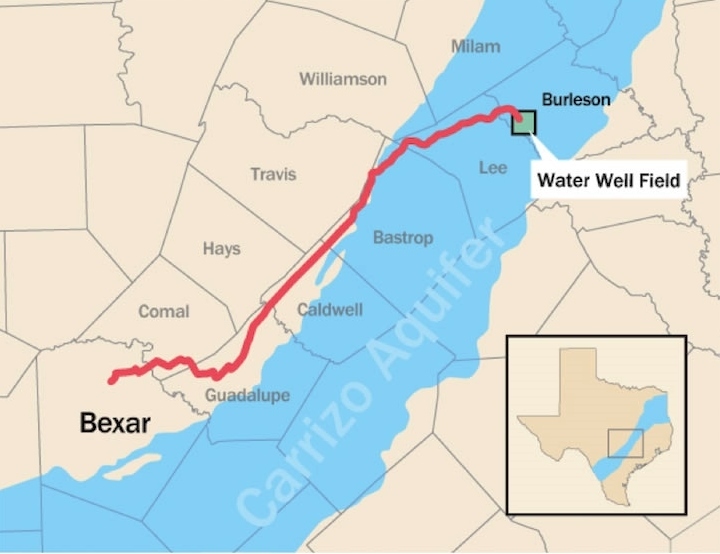 From the Greater Edwards Aquifer Alliance: “State Representative David McQuade Leibowitz (District 117) late Tuesday filed a bill that many believe is much needed to protect the quality of water in the Edwards Aquifer. H.B. 595 states ‘The commission (Texas Commission on Environmental Quality-TCEQ) may not issue a new permit authorizing the discharge of sewage effluent directly into any water in the contributing or recharge zone of the San Antonio or Barton Springs segment of the Edwards Aquifer.” Read the full release here. 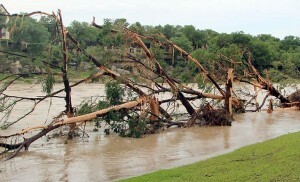 The Sierra Club has released its list of key issues for the 2009 Texas Legislature session. Among the priority topics are: Clean Air, Smart Energy Solutions, and Parks & Wildlife Funding. Read the full press release here.